Policing deal in Northern Ireland "is not secure"
AS the 14th anniversary of the signing of the Good Friday Agreement draws near, a new report has criticised the governing political parties here over their failure to tackle continued deep sectarian divisions and it also warns that the policing deal is not secure. These are among the many stark assessments contained in the first of a series of annual reports which aim to independently monitor Northern Ireland’s journey out of violence. Drawing mainly on statistics already in the public domain, the Northern Ireland Peace Monitoring Report will measure on an annual basis the distance travelled – either closer to or further away from – the goal of having a peaceful and inclusive society. The first report, independently funded and supported by the Joseph Rowntree Charitable Trust and the Joseph Rowntree Foundation, has been published today by the Northern Ireland Community Relations Council (NICRC). •	Youth unemployment is potentially destabilising. It rose to 19.1% in 2011. •	The level of violence is down but paramilitarism remains a threat. •	The recession is affecting the equality agenda with Catholics still lagging behind Protestants on a range of unemployment and social deprivation indicators. •	No solution has been found for dealing with the past. The report’s author Dr Paul Nolan, from the NICRC, states in the report that Northern Ireland remains a very divided society. He also says it is “an extraordinary fact” that the political parties have not agreed any strategy to allow the core division between Protestants and Catholics to be addressed. On a more positive note, Dr Nolan says that the political institutions are secure and that a new confident and neutral urban culture has emerged. He said: “Violence has declined but it most certainly has not gone away. There is increased cooperation at the political level but there is also an increase in the number of interface barriers. We have seen interesting experiments in shared housing and shared education but 92.5% of school enrolments are still in schools that are perceived to be for one community only, and 90% of social housing is for single identity communities. “At times Northern Ireland seems to be moving forward; at other times it seems in danger of lurching back into the past. “Are we leaving the Troubles behind, or does the continuation of sectarian division mean that at some point in the future the underlying tensions could see a violent eruption? Is it possible that this period of peace might turn out to be only a generational truce? Each year a report will provide an assessment of the current state of the peace process. The annual publications will take stock of the level of political violence and also social inequalities, events in the political realm and the degree of cohesion in the society as a whole. The first Peace Monitoring report highlights the current threats to the policing deal. 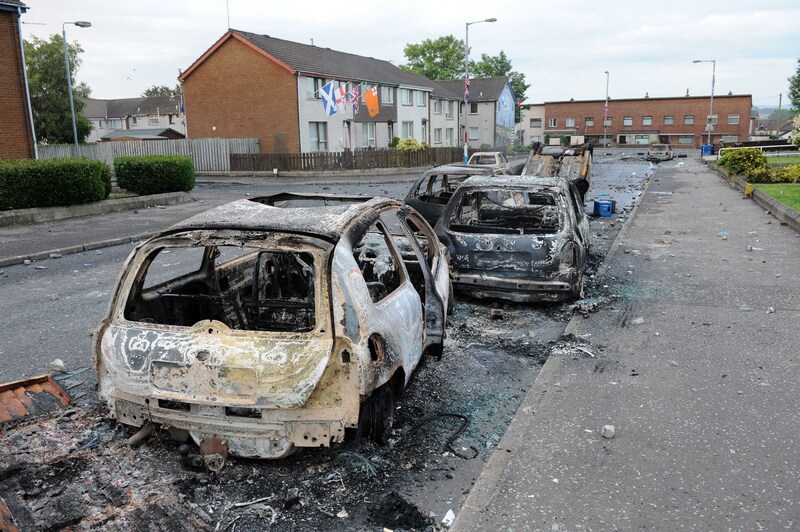 The document reports that the main focus for dissident violence is likely to remain on Catholic members of the PSNI which is making it harder for people resident in Catholic areas to join or remain with the force. While the Patten target of 30% has been reached for police officers, only 27.3% of all PSNI personnel are Catholic – against estimates of 46% for the adult population. The figures for drop-out also show more Catholics than Protestants leaving. The credibility of the Police Ombudsman’s Office was seriously damaged by the recent publication of three critical reports by the Committee for the Administration of Justice, the Criminal Justice Inspectorate and a third commissioned by Justice Minister David Ford. Click here to see stories by The Detail on the Ombudsman’s office. The peace monitoring report concludes that this controversy affects not only the ombudsman’s office but also “has the potential to weaken nationalist confidence in policing as a whole”. 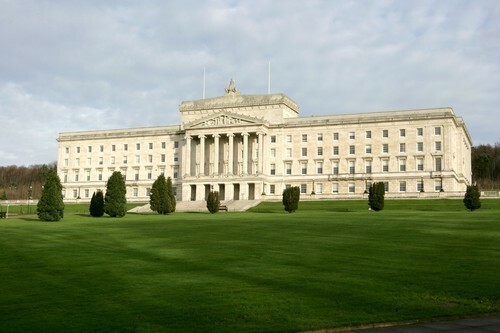 The monitoring report claims it is an “extraordinary fact” that the political parties in Northern Ireland have not yet agreed a strategy to address the core division between Catholics and Protestants. A policy framework – A Shared Future – was put in place by the direct rule administration in 2005 but neither Sinn Fein nor the DUP accepted the policy. Each attempted to draft an alternative but could not find agreement. A consultation paper – Cohesion, Sharing and Integration – was issued in July 2010 but met widespread hostility and was universally rejected. This meant another year went by without a framework to address sectarianism in place. However, Dr Nolan does acknowledge that many organisations, groups and projects are working on peace-building in Northern Ireland despite the lack of an agreed policy direction. Around 80% of peace and reconciliation work here is sustained by external funding – most notably, the EU Peace Programme. That money is soon to run out. The Executive has pledged in its draft Programme for Government 2011-15 to bring forward a new draft policy to address this issue but it is not expected that there will be a resource commitment to replace what has been coming from European and American funders. In the meantime, Northern Ireland remains a very divided society. 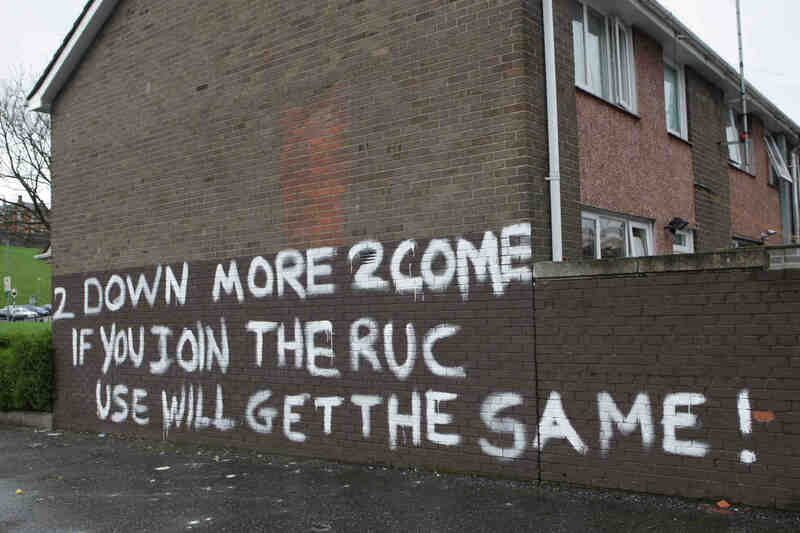 The report states that the number of interface walls across Northern Ireland has increased from 22 at the time the Good Friday Agreement was signed in 1998 to 48 today. There has been no decrease in the flags and emblems on display during the marching season and a dispute over the flying of the Union Flag in Ballyclare in 2011 revealed the inadequacy of the Flags Protocol for the regulation of contested symbols. According to the Northern Ireland Housing Executive, 90% of social housing is still segregated and only 6.5% of children attend integrated schools. While the politicians battle to agree a strategy for reconciliation, the economic recession is also having an impact on the equality agenda. The peace monitoring report states that Catholics still lag behind Protestants on a range of indicators to do with unemployment and social deprivation. To date, the two main drivers for equalisation have been demography and educational attainment. Between 1990 and 2010, the number of Catholics of working age increased by 30%, while the Protestant increase was only 4%. There has also been higher educational attainment by Catholics at every level in the schooling system. And in major employment sectors like the civil service not only are there more Catholics in post but they have also increasingly moved up the managerial ranks. However, Dr Nolan says that “the escalator which was carrying the Catholic population upwards has been halted by the recession”. On the indices of deprivation for the most recent year (2008-09) the percentage of Catholics for each indicator was higher than the percentage of Protestants. These include the percentage unable to save £10 a month, unable to heat their home and those unable to repair or replace broken electrical goods. Of those behind with one or more household bill, 66% were from a Catholic household, compared to 27% for Protestants. The share of Catholics in low income households is 26% – compared to 16% in Protestant households.